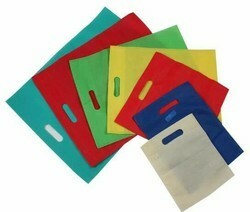 We provide our customers a high quality of Non Woven D Cut Bags. Comprehending the varied desires of our clients, we are instrumental in presenting a comprehensive range of Non Woven D Cut Bags. 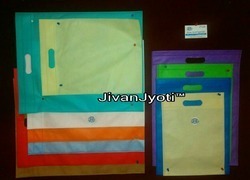 Our workers make use of superior resources that are then administered to provide, Non Woven D Cut Bag. We are extremely recognized in the market for offering top quality of Non Woven D Cut Bag to the esteemed clients at very economical price.